She was 91 years old when she died in San Antonio December 20, 2007. This video gives you an overview of her life. In this video you can see her family making tamales, Some of our readers still follow The tradition making tamales on Christmas Eve, then going to midnight mass, and afterwards coming home and eating the tamales with family and friends. In 1982 the National Endowment for the Arts established the NEA National Heritage Awards as a way of honoring American folk artists for their contributions to our national cultural mosaic. Lydia Mendoza was included that very first year. The NEA has a very good short biography of Lydia. Here is a short quote from it telling how they family got started recording. "In 1928, the family saw an announcement in La Prensa, a popular newspaper in South Texas, that the Okeh label was looking for singers to record. They borrowed a friend's car and made the trip to San Antonio, where Okeh Records recorded 10 of their songs. They received $140." The National Medal of Arts is the highest award given to artists and arts patrons by the United States Government. The National Medal of Arts is awarded by the President of the United States to individuals or groups who "...are deserving of special recognition by reason of their outstanding contributions to the excellence, growth, support and availability of the arts in the United States." In 1999 President Clinton awarded this medal to Lydia Mendoza. 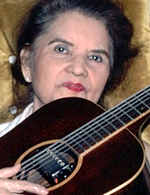 Read about Lydia Mendoza as one of the Roots of American Music on this PBS page. 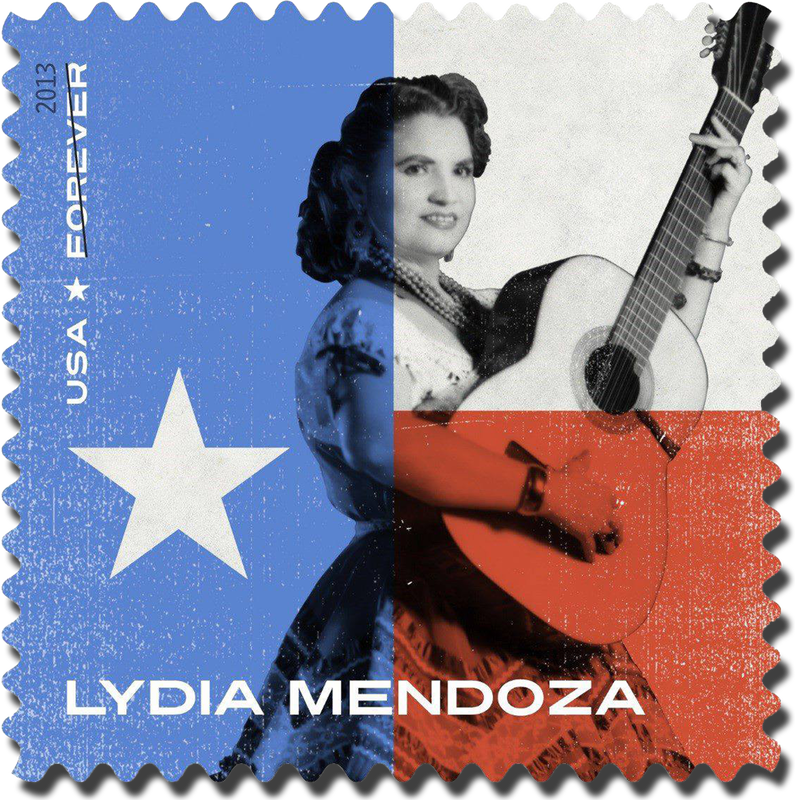 On May 15, 2013 the US Postal Service launched its Music Icons series in San Antonio with this forever stamp honoring Lydia Mendoza. Members of her family were present at a ceremony with actor Jesse Borrego as master of ceremony at the Guadalupe Cultural Center in San Antonio, TX. Lydia Mendoza is the first to be honored in the Postal Service's new Music Icons series, which will include later this year legends Ray Charles and Johnny Cash. For some years I used to go spend the month of August with 'Uelito [granddad] Antonio and my aunts so I could spend my birthday with them. By the time I was 12 my grandmother, 'Uelita, had died. After her death in 1941 'Uelito moved his family from their rancho, which was about seven miles south of Terlingua, to Study Butte, which we called Campo Nuevo. I remember that when I was 12 and I went to spend the month of August with 'Uelito and my aunts and uncles, my uncle Tino Franco, who loved music so much all his life, was all excited with the news that Lydia Mendoza was coming to sing in Terlingua. She was going to sing in Study Butte! I got to go to her concert with my Franco aunts, and it was so exciting. I had never seen or heard live singers; and when Lydia played her guitar and sang those songs, I was thrilled. I have never forgotten that. Seeing the video of Lydia Mendoza on Familias de Terlingua had brought these memories back to me. I called my aunt Rita Sanchez, who had been to the concert with me to ask her if I remembered right. My remaining memories had become dreamlike; I kept remembering a tent. And my aunt Rita said I as right; there was a tent. She said it was like a dream to her too because it was so long ago she had forgotten, until I asked. This page was updated on May 16, 2013 with changes and additions of content and links.